Rwanda, Prison of Gitarama. The Hell of the Living. Outside other big tanks are used to keep the rubbish and the faces without any distinctions. 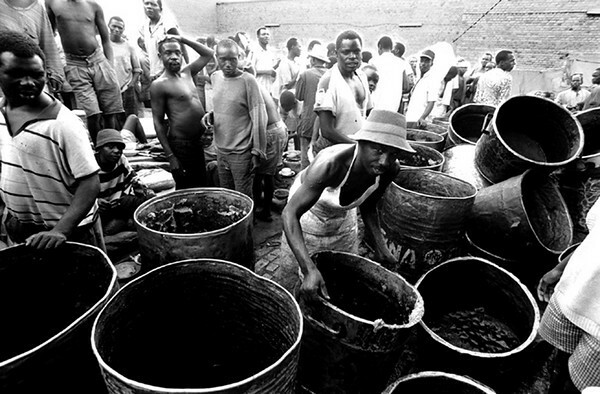 Rwanda, Prison of Gitarama, November 1996.